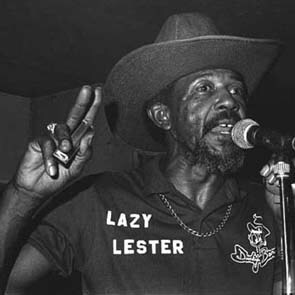 Lazy Lester was born Leslie Johnson near Baton Rouge in 1933. 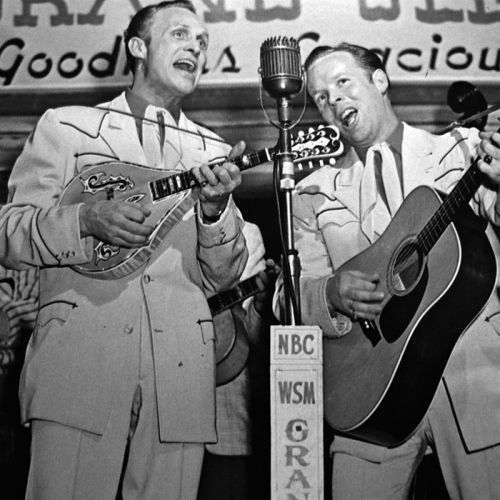 He grew up loving country music and the blues, a mix that led to a new sound of "swamp blues" in the 1950s. Lester looks back on his years helping to forge that sound as right-hand man to J.D. Miller, a white studio owner in Crowley, LA, playing guitar, percussion, and harmonica in many sessions for performers like Slim Harpo and Lightenin' Slim. The long-running Baton Rouge Blues Festival draws on the Louisiana capital's definitive musical legacy. This Labor Day, we play live cuts from BRBF's 2018 festivities: The late harmonica man and singer Lazy Lester revisits the R&B singles he released on Excello Records in the '50s and '60s. Guitarist Jimmy "Duck" Holmes plays Bentonia-style blues, which he learned growing up in Mississippi around the family juke joint. Fellow Mississippian Harmonica Bean talks the blues and plays his mouth harp. Cowboy Stew Blues Revue -- a supergroup of Lafayette, LA-musicians including blues rocker C.C. Adcock, Cajun accordionist Steve Riley, and guitarist Lil Buck Sinegal of late Zydeco King Clifton Chenier's band -- prove they are more than the sum of their parts. British R&B soul band James Hunter Six roll out club style with great elan. Grammy-winner and son of local legend Tabby Thomas, Chris Thomas King taps into his deep musical roots on blues classics and gospel standards. And younger generation guitarists Troy Turner and Samantha Fish show off their blues chops with inflections of pop and rock. Click "here":https://no-smoke.org/labor-day-live-baton-rouge-blues-festival-2018/ to view a press release from the American Nonsmokers' Rights Foundation, who sponsored the Baton Rouge Blues Festival and underwrote this episode of American Routes. For Independence Day weekend we'll stomp the blues with live performances from the 2016 Baton Rouge Blues Festival ... featuring swamp blues, Mississippi Delta blues, hill country blues, and the blues rocked out. Artists include Howlin' Wolf's pianoman Henry Gray, harp player Lazy Lester, Kenny Neal and family, Slim Harpo's right-hand guitar man James "Chicken Scratch" Johnson, songmaker Luke Winslow King, New Orleans soul funkster Walter "Wolfman" Washington and R.L. Burnside's grandson, Kent Burnside. Plus a visit to Teddy's Juke Joint nearby on Highway 61 in Zachary, LA. May the Fourth be with you! American Routes settles back into the groove with the mellow music and words of our guest Lazy Lester: a hardworking bluesman from Louisiana's provincial capitol of Baton Rouge. Then a tour of the world of African and African-American music from Morocco to Brooklyn with jazz pianist Randy Weston. Plus, author Jason Berry on the transformation of New Orleans' Congo Square from a historical trading post to a center for emerging jazz artists.